Home Procurement News What's the deal with US manufacturing? 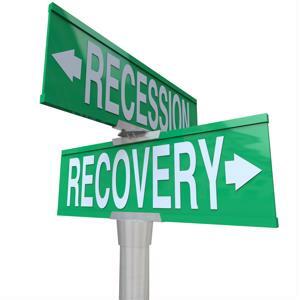 Even though the United States economy has been in something of a renaissance for the past few years, people are still somewhat reeling from the Great Recession seven years ago. And while the unemployment rate is expected to fall to 5 percent by the end of 2015, according to The Associated Press, there are certain sectors that continue to layoff hard-working Americans and fail to meet certain revenue checkpoints. One of the industries in question is manufacturing. The U.S. is seeing more manufacturing jobs come back to the home front from abroad thanks to various reshoring efforts, but it doesn't seem to be enough. Some sources claim that manufacturing is growing and doing fine while others assert that it's in trouble - so what's the deal? Numbers don't lie - or do they? Over the past few years, the unemployment rate has steadily declined thanks to job creation and a reinvigorated economy. This is great news for most sectors, but the manufacturing industry hasn't been singing the same tune. According to a recent article by CNBC, the numbers are increasing a little bit, but nowhere near enough to be considered a renaissance of any sort. In 2007, the U.S. had 15,000 more production facilities than it currently has now, and said facilities employed over 2 million people. These numbers show that the country isn't back to where it had been, and some posit that it might never get there. The source noted that the manufacturing industry has been on a steady decline since the early 1980s, while other sectors such as finance and real estate have been growing, though they are still experiencing some bumps in the road. One of the reasons that the manufacturing industry in particular is having a hard time is because of a talent shortage. Not only are there not enough jobs for skills factory workers, but now the sector needs individuals with a certain set of skills to operate and maintain machines and hardware, but there doesn't seem to be enough people to fill the necessary positions. While some try to remain optimistic about the situation of the manufacturing landscape, it's hard to see how the U.S. will bounce back from damaging blow after damaging blow. MarketWatch reported that many manufacturing companies are reporting decreases after a month of marginal increases, the light at the end of the tunnel seems to be nothing more than a mirage. Experts estimate that recovery won't happen in the near future, which leads some to think that maybe the U.S. needs to be proactive before it gets any worse. So, what can people expect to see moving forward? Different aspects of the supply chain may experience a dip in the price of transporting materials and finished products to their next location. This, while certainly a helpful step, will not make up for the fact that there aren't enough jobs nor enough people to fill specialized positions. Perhaps if the nation, as a united front, helped the reshoring groups that endeavor to bring manufacturing back to the U.S., then more citizens will be back at a job and help boost the manufacturing sector that way. Of course, all of this takes money and if you need to spend money to make money, it doesn't appear that manufacturing will be able to pay its dividends. A product that boasts the claim "Made in America" is one thing, but it's entirely quite another to actually make it in America. With only 30,000 – 50,000 jobs being offshored to other countries in 2014, the resulting net gain of 10,000 or more jobs per year represents a shift in the right direction and the first time we brought back more jobs than we offshored in over 20 years! By comparison in 2003, the United States lost net about 140,000 manufacturing jobs per year to offshoring. To continue moving forward in manufacturing, we must pick the most effective and implementable actions to overcome the loss of manufacturing and the trade deficit. 1. In the short to medium term: reshoring – getting companies to understand all of the benefits of local production and adopt a more comprehensive total cost analysis. This could cut the trade deficit by 25% and bring back 1 million manufacturing jobs. Mainly this requires education of companies and is entirely under the control of our society. Detailed, objective reporting is necessary to motivate companies to reevaluate offshoring. 2. In the longer term, to get the other 75%, requires improved competitiveness: taxes, currency/tariffs, skilled workforce, basic education, etc. All are political, most are cultural and endemic, currency/tariffs is subject to WTO rules, other countries’ actions and our need to raise interest rates. Ideally, it is best to do both sets of actions. We should be enthusiastic about reshoring but not optimistic about the renaissance until we begin to take the steps to allow us in the future to become optimistic about renaissance.